Vegetarian food is bland, dull and limiting. We’re on a mission to change the way London thinks about veggies. With menus heralding the best seasonal produce available, we don’t even have trouble getting the kids to eat our greens. 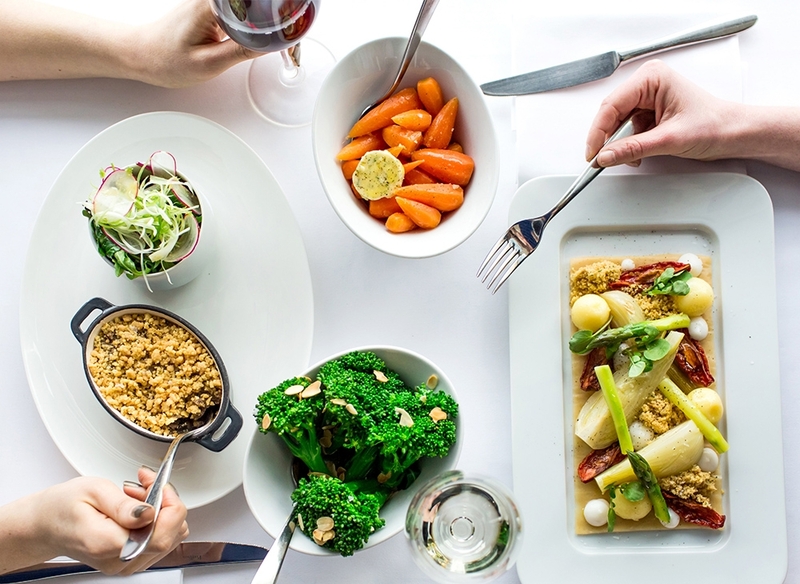 But that’s not all: we’ve got dedicated vegetarian menus in both the Restaurant and the Brasserie to make sure that the herbivores who join us get to indulge in fine dining just as much as the rest of us. Even if you’re not a vegetarian, we bet you won’t be able to resist our tarragon and whole grain mustard polenta primavera in the Restaurant or our falafel, red pepper and feta salad with spiced pomegranate dressing in the Brasserie. We also offer a Vegan Afternoon Tea, so if you’re looking for something different to try, this is it. We’ll make a convert of you yet.